In the Summer of 2014, I met with a mentor to share my disappointment that God had closed a door (at least temporarily) on a company I had been working on that would provide more capacity for moms so that they could spend more time with their children while continuing to provide for their families. I explained that I was especially sad because I had a relentless desire to help kids of single moms get more time with the most influential person in their lives. 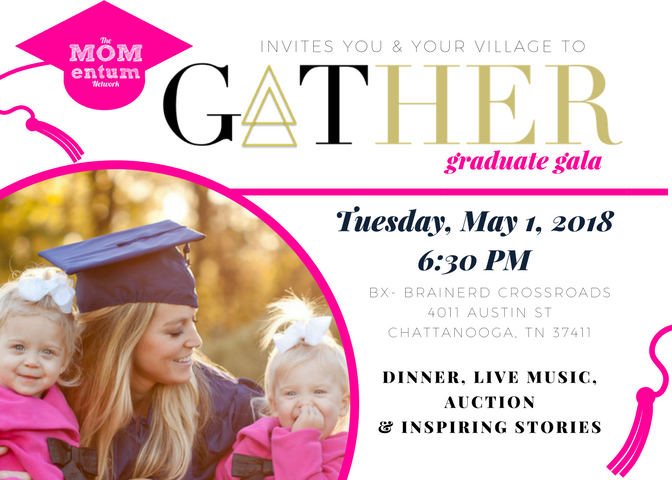 My mentor, an amazing mama of 6 who ran a ministry, challenged me to hold on to my dream of helping kids of single moms and offered to pray with me as well as making some introductions to people in her network that might be interested in helping these kids & their mamas too. Soon after, I was introduced to Jim Barber with The Generosity Trust. Jim explained that the Generosity Trust could serve as a fiscal sponsor to qualifying organizations that presented a thoughtful action plan as they launched so that they could make sure their “program” was viable before spending thousands on the process of becoming a standalone organization. This meant that The Generosity Trust could receive donations that we could use to buy meals, provide a place for moms to come together, encourage moms, and meet needs to help single moms stay on track to build a better future for their families. This was a critical turning point in the formation of this budding single mom ministry. We pulled together the application & advisory team and in December 2014, we were accepted under the Alpha Fund program. Since then, we’ve been able to support our mission of transforming our community two generations at a time with single moms and their children to build a better future. Because of this organization and our friends who donated, we didn’t have to spend time and money that we didn’t have, we were able to get to work making an impact. And now, almost 3 years later, we’ve filed our paperwork to launch as our own 501c3 after proving that our organization was sustainable and needed. 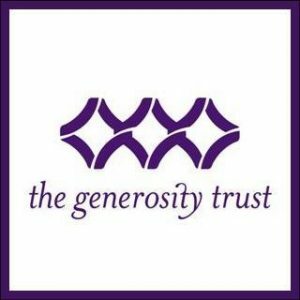 As we await this designation, we continue to operate under the Alpha Fund with The Generosity Trust. We are so excited to spread our wings and fly in the coming month, but we are so grateful for the administrative/emotional/practical/spiritual support that The Generosity Trust has offered over the years-including receipting all gifts and printing a million flyers on the fly in addition to listening to our crazy big dreams and reminding us that our big amazing God can make it happen. When God closed a door, he flung a set of double doors with purple walls waiting inside. We thank you TGT team! With your help, over 200 moms & kids have received hope and help and we’re just getting started.